We had about half a watermelon left that I knew we needed to use up. It wasn't the sweetest watermelon so I figured I might try to use it in a recipe some how. 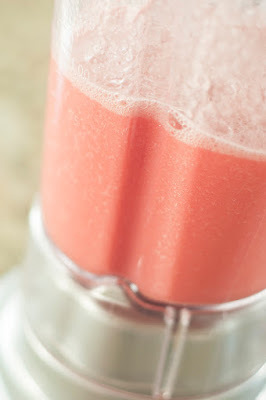 I decided to throw together this quick and easy recipe, that is so refreshing and perfect for the blisteringly hot and muggy weather we have been having. Throw all above ingredients into blender, and blend until pureed. 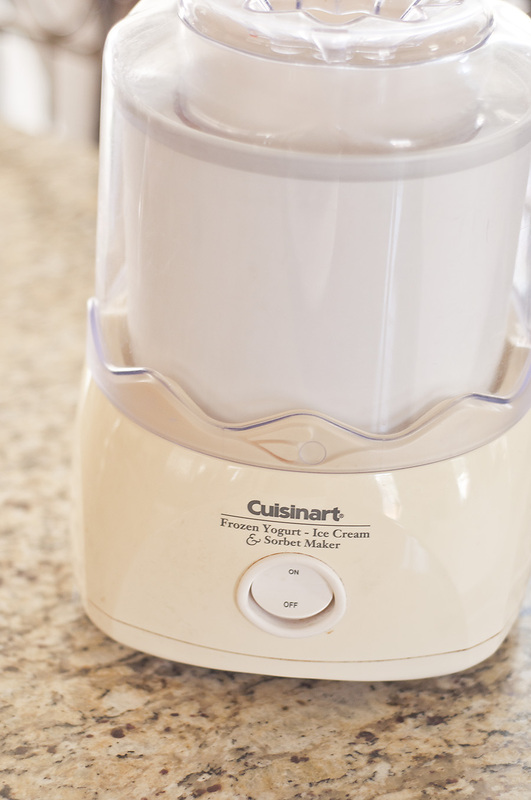 If you don't have an ice cream maker, get one! Honestly, I think it's a must have kitchen appliance. 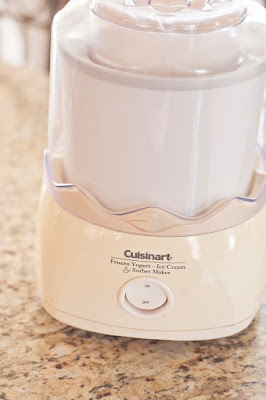 We have a rather old Cuisinart ice cream maker. Still works great! I just throw it in and it was ready in about 25 minutes. 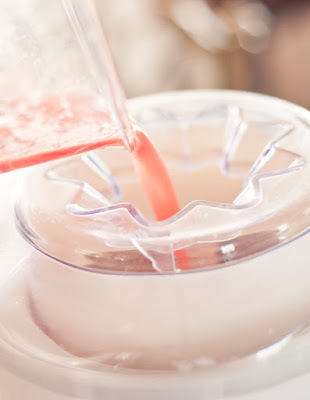 If you don't have an ice cream maker just throw it in the freezer until it's a more slushy consistency. 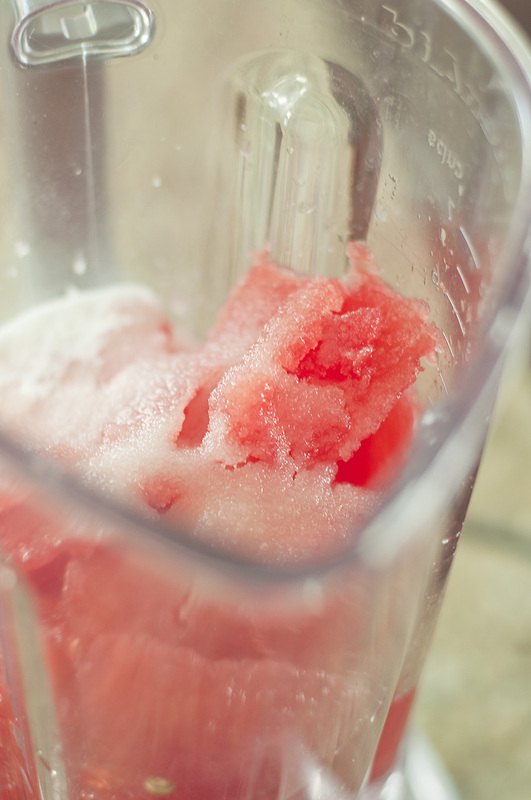 Or blend ice in with all the ingredients. This recipe is very flexible. If you have a sweet tooth you can totally add more sugar (one recipe I came across called for 1 cup of sugar!) But I prefer the raw watermelon flavor, and the lime added a nice tartness to it. So easy! I certainly need to make more treats like this for summer!